Bondi Beach is practically synonymous with toned, tanned bikini bodies. 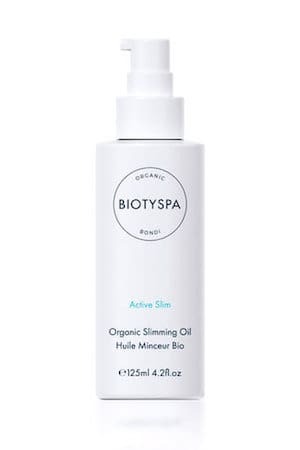 The beautiful Bondi-based day spa, Biotyspa, recently released a certified organic ‘slimming’ oil. Used with a vacuum cup, the two work together to stimulate the skin and smooth the layer of fascia underneath. The oil contains ingredients like coffee, lemon, juniper, and macadamia nut, which help promote lymphatic circulation, while simultaneously toning and moisturising the skin. Instead of massaging the oil on the affected area with your hands (a.k.a. the boring, normal way), use the vacuum cup to further boost circulation and firm the skin. Out of all the products on our list, this one has been on the market the longest and deserves OG cult status (Google it and you’ll find thousands of glowing reviews). So why does it receive such great praise? For the simple reason that it really works. Body Fit claims to target three types of cells that store energy as fat, and to reduce fat storage within the body. 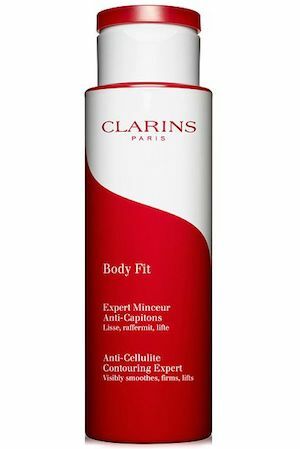 While I can’t vouch for what was happening on a cellular level, the gel-like lotion did remove a few of my little dimples, and helped sooth tired-looking skin. Warning: you may want to hold off on this product until summer if you’re sensitive to the cold. The cooling effect feels very similar to what I imagine taking a flash bath in menthol is like. Great for the balmy summer heat, but not the loveliest surprise on a biting cold winter night. Another natural option for those who aren’t too keen on chemicals. I found this oil not only tones and invigorates the targeted area, but it’s also just a great all-round moisturiser. 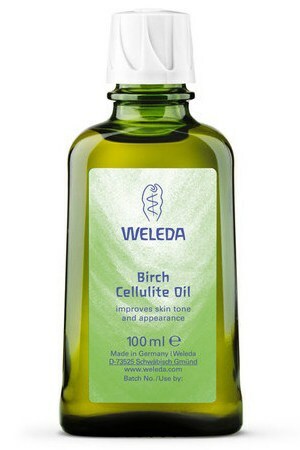 The Weleda Birch Cellulite Oil consists of a regenerating blend of birch leaf extract, Butcher’s Broom, rosemary, and apricot kernel. Apply the oil in a circular motion from head to toe and savour the delicious orange scent. If you’re like me and get a bit slack with using products consistently, add dry brushing to your pre-shower routine instead. The process does tack on about five minutes to your shower time, but it’s an oh-so-satisfying ritual that sweeps away dry skin, stimulates the lymphatic system, and leaves the skin with an enviable glow. 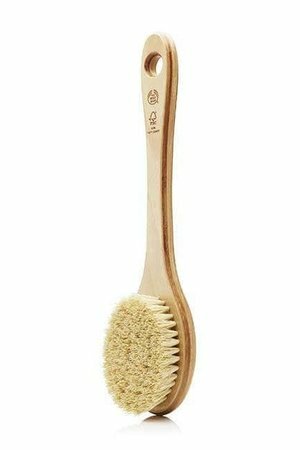 Use an all natural bristle brush (handle or not) to brush the body in an upward motion, starting at your toes and ending at your heart.